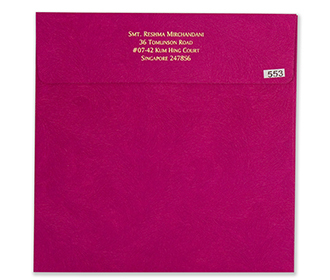 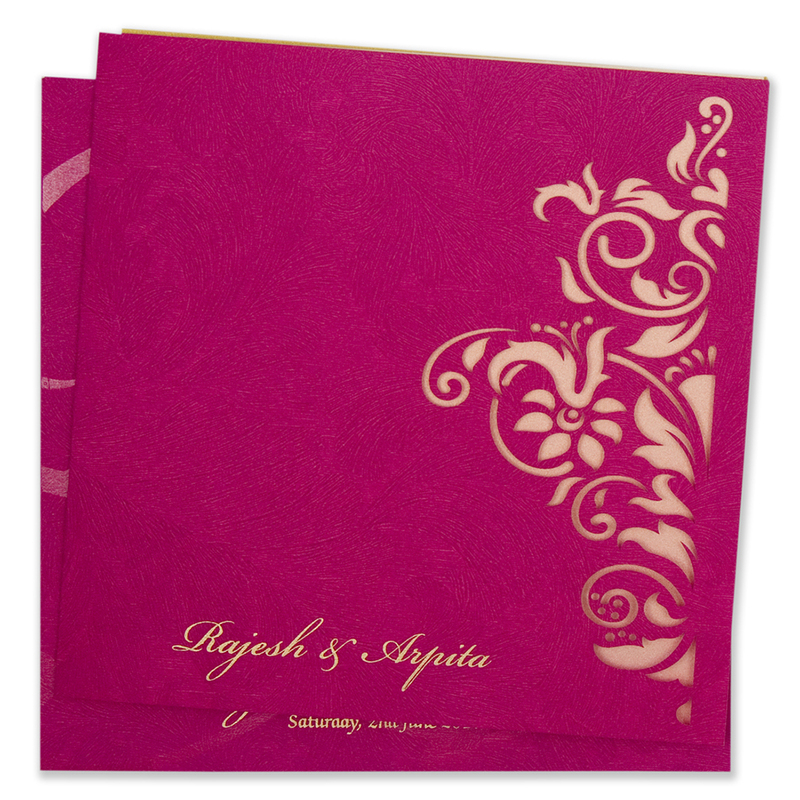 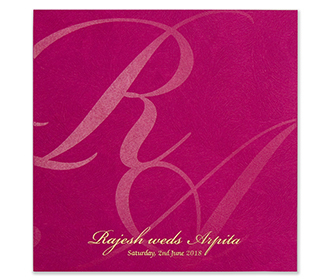 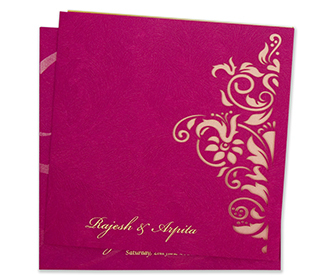 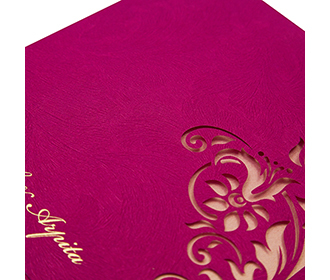 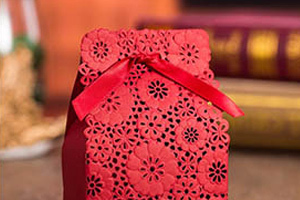 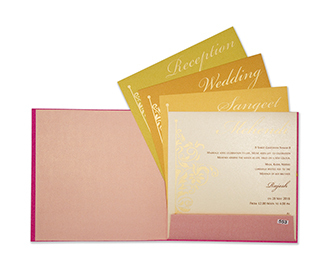 This is beautiful vibrant pink card and envelope with self-design that gives it a textured look. 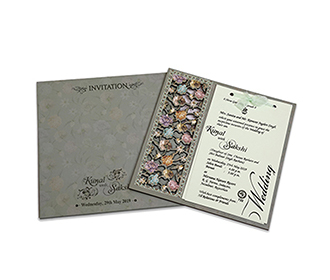 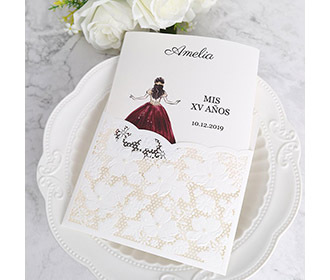 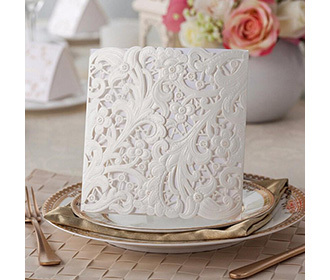 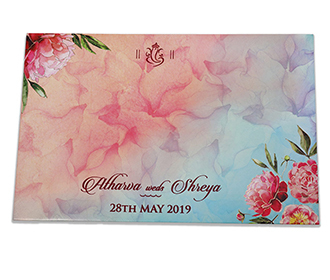 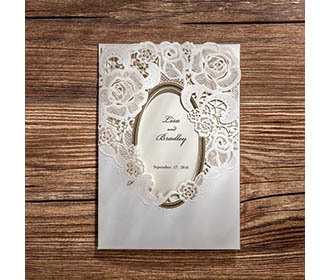 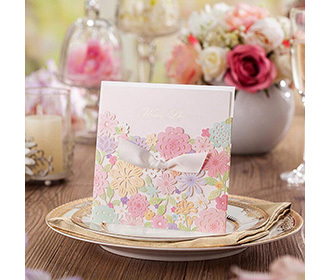 The card has a laser cut floral motif on the right side and a rose gold sheet can be seen through it, which provides a beautiful contrast of colors. 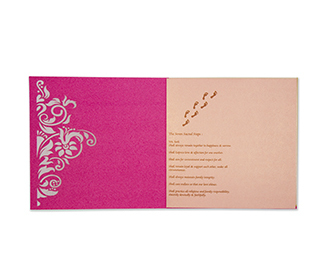 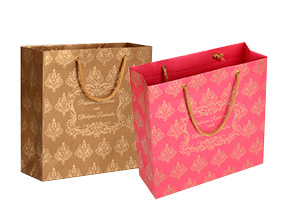 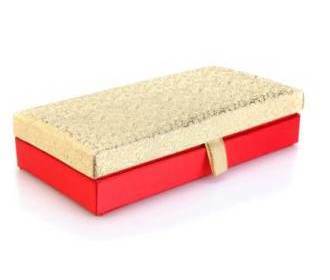 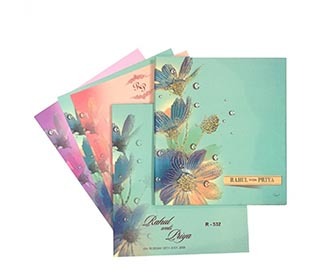 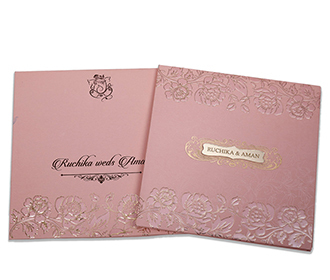 The rose gold sheet can also be used to print a message but on request. 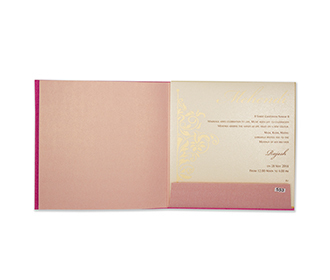 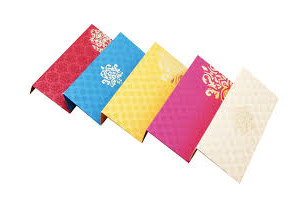 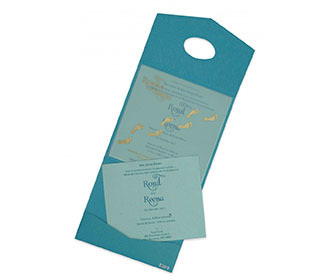 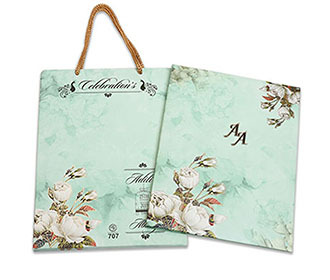 The card comes with two inserts available in four-color options to choose from. 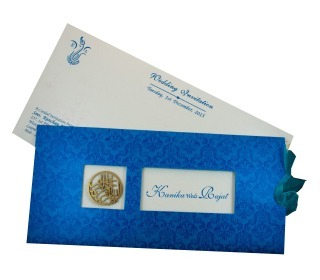 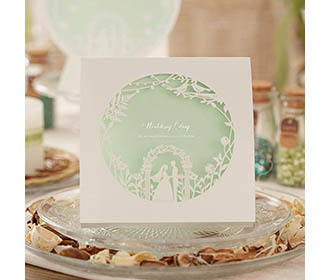 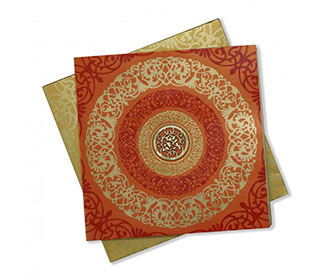 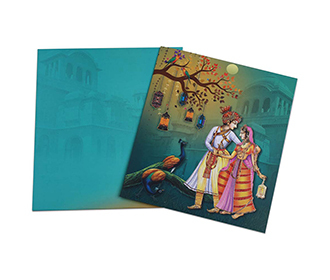 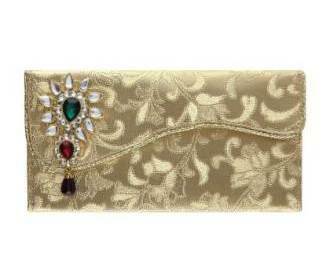 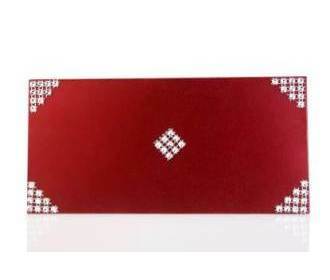 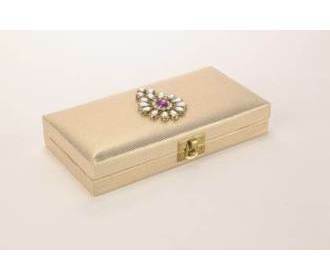 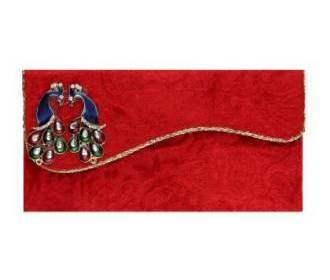 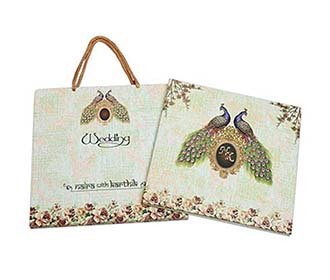 This is a multi faith wedding invitation card as no religious symbols are pre-printed on it.